In the U.S., there has been enduring discontent within the natural gas vehicle industry about a legislative environment that delivers inequitable opportunity, often seen to favour newer alternative fuels over natural gas. 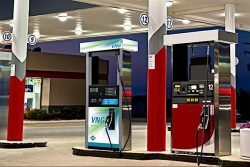 That position is being addressed by new legislation, introduced by Sen. James Inhofe last week, which directs United States Environmental Protection Agency (EPA) to incentivize natural gas vehicles (NGV). 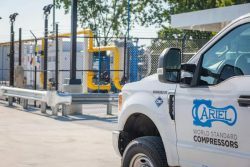 Industry stakeholders such as Ariel Corporation and VNG.co and the national natural gas vehicle association NGVAmerica have added their support by applauding the initiative. House bill (H.R. 6476) has also been introduced as a companion to the Senate bill (S.3226). Sen. Inhofe argues this legislation seeks to maximize the nation’s economic, environmental, energy independence and global energy leadership objectives, while offering consumers a lower cost and more stable priced fuel. The Light-Duty Natural Gas Vehicle Parity Act of 2018 legislation seeks to ensure federal agencies give the same regulatory treatment to natural gas vehicles that is provided to electric vehicles. There is particular focus on light duty NGVs. “Natural gas vehicles have great potential for widespread adoption because of their use of reliable, low-cost, American-made energy. This bill addresses one of the biggest hurdles to the production of more natural gas vehicles: regulation. By providing regulatory parity between natural gas and electric vehicles, natural gas vehicles can have a level playing field in the marketplace,” said Sen. Inhofe. “This legislation will help protect the most important and most popular product lines for the US auto industry: pick-ups and other light-duty trucks,” underscored Harvey Lamm, VNG co-founder and former co-founder, chairman and CEO of Subaru of America. “It will provide automakers with a cost-effective alternative regulatory compliance pathway, recognizing the needs and demands of vehicle owners and the changing dynamics of the market since the 2012 EPA rule-making.” VNG is a leading retail compressed natural gas fueling service provider and supporter of widespread use of light-duty NGVs. Market changes since that rule-making include abundant US-sourced natural gas, large and expanding light-duty truck sales which are 68% of new vehicle sales, increasing renewable natural gas supply (e.g., biogas from agriculture, landfills and similar facilities) which accounts for 42% of NGV fueling across the nation and offers greenhouse gas emission reductions of 70% to 130% or more, and global natural gas vehicle growth from 16 million to 25 million today. Further, market receptivity and technology of electric vehicles is uncertain, particularly for light-duty trucks due to the weight and utility of these vehicles. Lamm, the acknowledged father of All-Wheel Drive in the U.S., says AWD offered significant benefits to drivers and the industry but was largely ignored by the industry in the early 1970s. Today, he sees the industry making a similar mistake. This time it is overlooking light-duty natural gas vehicles, the benefits of which profoundly outweigh those of AWD. He says pick-up trucks, SUVs and other light-duty trucks, which occupy a massive share of the market, are also the most fuel consuming and polluting of all light vehicles, for which natural gas vehicles are particularly well suited. “Industry risk from this reliance is only heightened by the EPA’s midterm evaluation of corporate average fuel economy standards. Therefore, it is a crucial time for dealers and manufacturers to ensure the regulations not only achieve the goals, but support the health of the industry and provide customers with their vehicles of choice. To achieve these goals, there is no better, more immediate or more cost-effective solution than natural gas vehicles,” Lamm concludes. The current regulations strongly favour EVs. Sen. Info argues that electric powered pickup trucks are technically challenged, whereas natural gas pickups are already available from several automakers and upfitters. Therefore, interim steps, while awaiting the passing of the legislation, are justified: “While I hope the Light-Duty Natural Gas Vehicle Parity Act will be enacted quickly, I urge you to include these incentives in the proposed rule that the EPA is developing with NHTSA for light duty vehicles. The Light-Duty Natural Gas Vehicle Parity Act of 2018 is not the only piece of legislation addressing parity. There is growing determination in North America to embrace natural gas as a domestic fuel that offers lower-carbon outcomes and price stability compared to conventional fuels. On July 23rd, U.S. Rep. Bill Johnson (R-Marietta) introduced H.R. 6476 the Light-Duty Natural Gas Vehicle Parity Act of 2018 in the US House of Representatives, a companion to Senate bill 3226 introduced by Sen. Inhofe (R-OK) on July 17th. The legislation introduced by Rep. Johnson is the third natural gas transportation focused legislation introduced in the last ninety days and affirms congressional intent to leverage America’s abundant natural gas, renewable natural gas and light duty natural gas vehicles to provide cleaner air and reduced use of petroleum while reducing consumer fuel costs and preserving choice. In May this year, Congressman Markwayne Mullin and Congressman John Larson introduced H.R. 5959, the Natural Gas Parity Act, to bring equity to the sale, purchase, and use of natural gas in the United States. Link to S.3226: click here. Link to H.R. 6476: click here. Link to H.R. 5959: click here. Sen. Inhofe letter to Andrew Wheeler: click here.